Magento 2 Search extension by Mageplaza creates a big revolution at eCommerce stores when customers need to find any products. All search results are handled by Ajax technology to appear on the dropdown list while they have the strong relevance on the typed characters in the search box. Come here and the best solution for the product search is in your arms. Why should use Search extension for Magento 2 stores? Totally feel free to use a classic search method with neither suggestions nor modern technology if a number of selling products are poor that is easy to find manually. However, if you launch thousands of product categories with different attributes in the marketplace, losing in the created maze by yourself is extremely obvious. Your customers will take a long time to find the desired items even maybe they leave without any hesitation. That will cause a huge damage of your profit. Hence, improving the search tool is one of the clever solutions to make you stronger. By using Magento 2 Search, the client can pick up needed products quickly with the highest satisfaction. 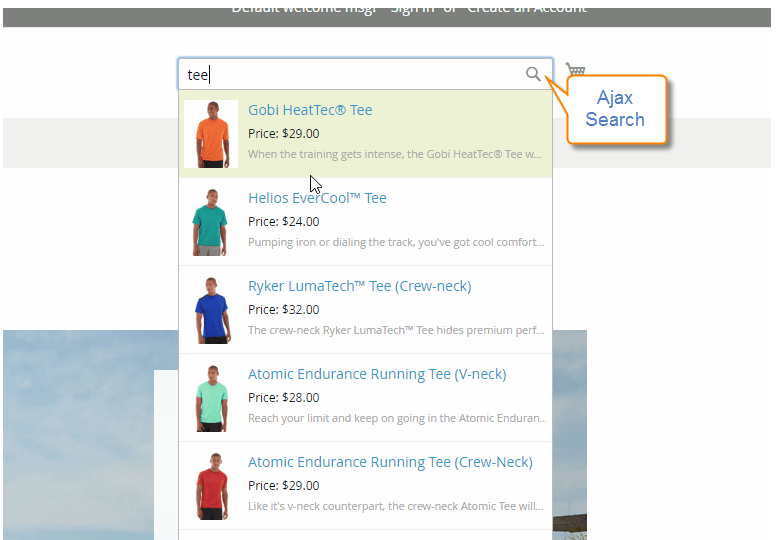 Ajax Search module not only speeds up your store search significantly but it also is considered as the powerful one when supporting more than 10,000 SKUs for searching. The big storage will lead your customers to be more comfortable to purchase goods in the shortest time that is suitable for their demands. This is the great chance to increase your conversion rate in eCommerce business. Search Magento 2 extension is represented by the appearance of Search box. Instead of spelling exactly the product name, the users only need to type the first few letters of the phrase, and then the relevant products with the proper name will display instantly on the drop-down list. The clients will see the product details including Product Name, Price, and Product Image to select the best match with their needs. 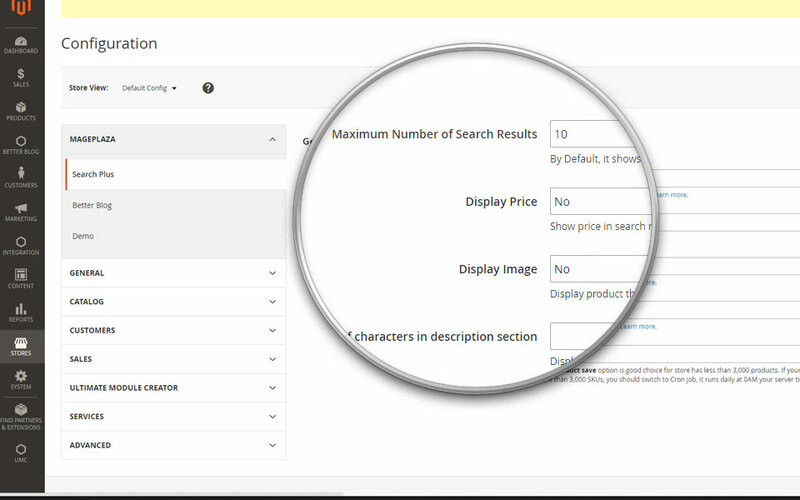 Be more advanced than the default, Search extension provides a large space to store more than 10,000 SKUs for searching. With such big storage, your customers feel comfortable when finding at your store. For store owner, it is easy to offer many suggestions both of which are suitable for customer’s request. Due to that, you can satisfy the clients better and better. As you can see, this module is a valuable choice to be considered as the must-have extension in online business. If you install Magento 2 Search extension, you will get full of admin control from the backend. 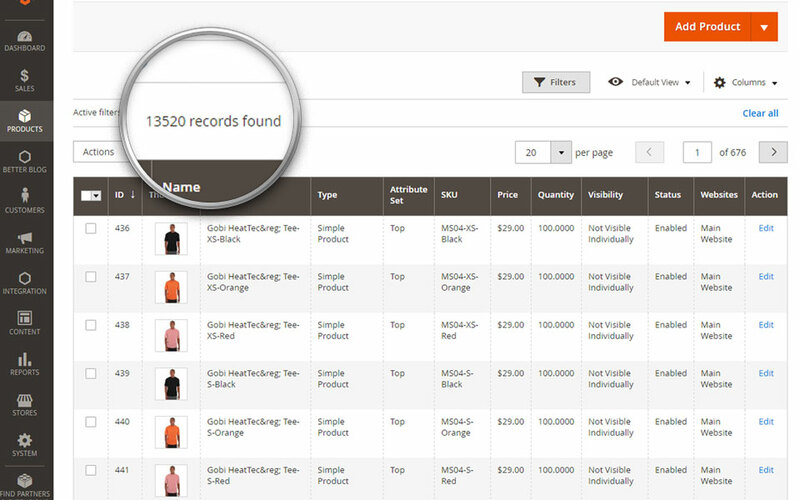 You can set the appearance of products search that appears together with more details via Ajax technology instead of any direction to another result page . For example, it is possible to enable/ disable price, image or short description of the products. A particular option from the configuration of Search module is set a maximum number of items on the dropdown list. The limitation is done when you insert any number in the text field and save this change. The best number of shown items should depend on the web design how to be as suitable as possible. Magento 2 Search comes with highly friendly regardless of every device. In spite of using PC, tablet or mobile, your customers can start searching in the best response. Advanced Search Search Options: Search for: Use the wildcard.